In the near future, humanoid servants called synths are the latest high-tech gadgets. But what happens when synths can think for themselves? 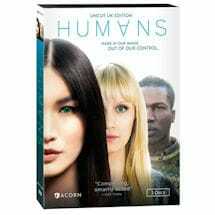 In this hit sci-fidrama, a family searches for normalcy after saying goodbye to a sentient synth. As synths begin to gain consciousness all over the world, a mysterious organization hunts them down. 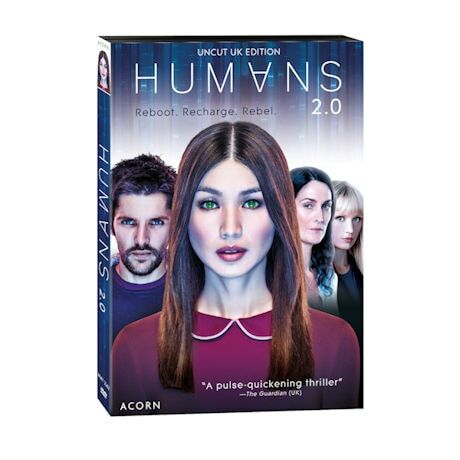 The cast includes Carrie-Ann Moss, Gemma Chan, and Tom Goodman-Hill. "The ultimate AI thought experiment"—Atlantic. 8 episodes, 6 ½ hrs, 3 DVDs or 2 Blu-ray discs, SDH. Mature audiences.